I happened upon a game from the Dean of Chess Academy Championship, which had GM Magesh Panchanathan vs Kenilworth regular FM Steve Stoyko. Instant classic, which belongs in a textbook. Nothing like disgracing a game like that by having it annotated by an idiot like me. So I paid the inconsequential sum for noted commentator and author Sergey Shipov to travel to Cranford from Moscow and share his thoughts as well. Shipov: There's a little story, which has Capablanca stealthily letting a hedgehog out of his sleeve onto the chess table; the creature then tells Alekhine, in perfect Russian, "Have atcha!" - and the outcome of the battle was never in doubt. The characteristic contours of the Hedgehog start to appear...one can go into incredible depth discussing the pros and cons of various move orders and setups in the openings, and indeed it is Black who must be vigilantly aware of White's many attacking tries in the opening moves. Black's setup takes 10-12 moves to reach its ideal form, in the meantime it can be vulnerable. But these subtleties are out of scope here. Shipov: A modest move, with three ideas. First, it's important for prophylactic purposes: Black's knight can no longer jump to g4. 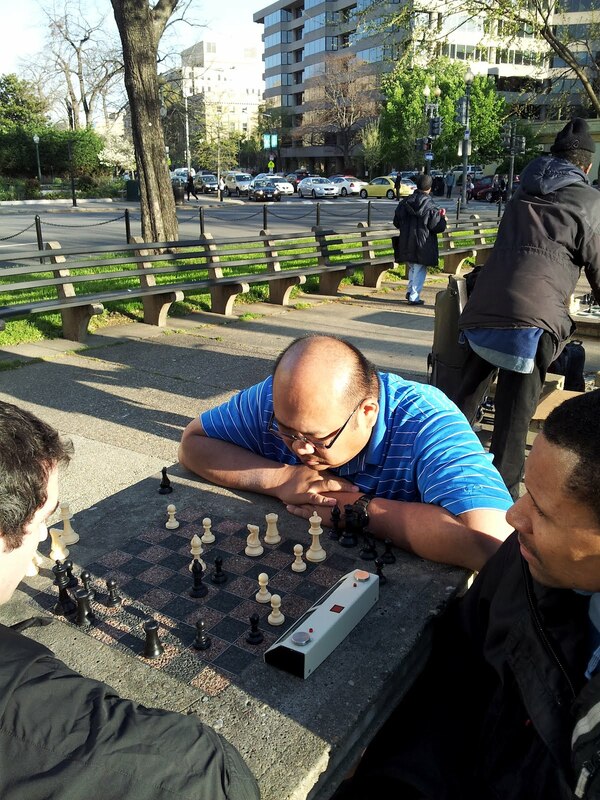 Second, White's king now has a choice of squares on which he can survive a bloodthirsty middlegame: h1 or h2. And third, White prepares a kingside pawn storm. 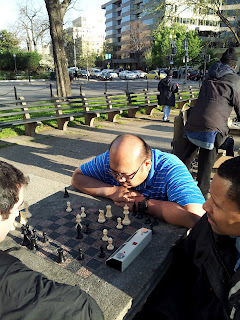 Shipov: Wherever White's queen goes, the black rook follows! This rule is easily remembered and put into practice, too. The most natural files for Black's rooks appear to be the d- and c-files (protecting d6 and hitting the half-open c-file). However, this is the Hedgehog and natural, classical concepts are not always ideal. As we will see. Shipov: A concrete approach! In this situation, the c-file is not part of the main event. Of course, if Black had, say, a third rook, he would definitely have it on the c-file! A rook on c8 in the Hedgehog is often there to bring tactical punch to the shot ....b6-b5 (one of innumerable thematic Hedgehog pawn moves, including ...d5, ...e5, ...f5, ...g5 and indeed sometimes ....h5!) But here White's knight on c3 is well defended, so the rook does better to support a ....d5 push. Shipov: Uhlmann's patented maneuver! The queen hands over to the knight an ideal central square. 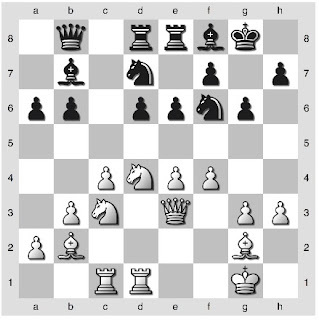 Shipov: The knight takes control of the vital squares b5, f5 and e6. 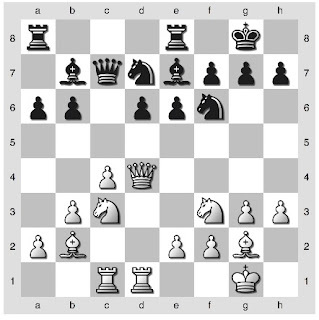 As in the Sicilian Defense, this piece plays a major role in White's central strategy. A second favorable element is that it opens a path to the center for the bishop at g2: it will defend the e4-pawn and increase White's control of the d5 square, neutralizing some of Black's active ideas. 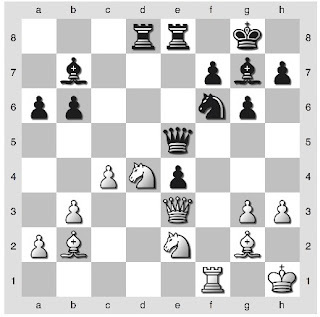 The only drawback to White's maneuvers is that Black gets time for a comfortable development. 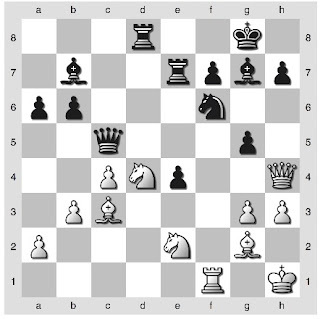 A continuation of the same plan, forced also by White's pressing pawns - now g3-g4-g5 can be met by ...Nh5. White has fulfilled most of the tenets of classical positional play - space advantage, development, etc....however a single slip has heavy consequences. Having said 'A' Black must say 'B' - any other move is bad! Such pawn pushes usually come in pairs in the Hedgehog. One of the factors that makes this system so complex for both sides is that each player must constantly evaluate the consequences of such pawn moves, even if it involves a sacrifice! Here Black takes advantage of superior piece coordination and the unfortunate position of White's queen. Desperate measures were already required for White. 20. exd5?? loses simply to 20. .... Bc5, however 20. Nxd5!? Bc5 21. Nd4 may have offered some defensive chances because of White's strong center. In case there were any doubt, Steve is inspired in this game. This is no drab consolidation, the entire game is characterized by total economy of motion. The queen centralizes, highlighting that the knight is pinned to the bishop. With his next, he shows it is also pinned to the queen. Kasparov: Such things happen only in co-operative problems! Desperately seeking activity, the White queen finds itself trapped on an open board. 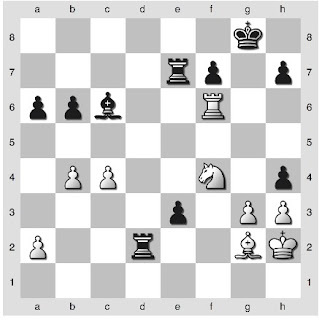 White has managed tactically to avoid loss of material, however he is unable to avoid hopeless simplification, Black's task is if anything easier now than before. 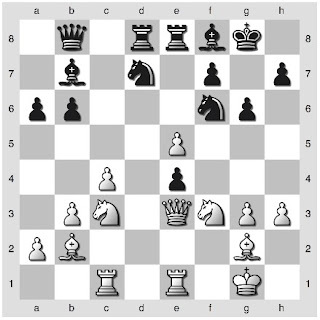 Chess humor - Black no longer needs his bishop, so why defend it? The pawn decides. After a subsequent ...e2 the pawn will come at the price of two pieces and Black having two rooks on the seventh rank. And here White resigned. A masterpiece!